It is recommended that adults have a comprehensive eye exam at least once per year. At Family Vision Center, our optometrist in Bridgeport and Stratford offer a comprehensive eye exam that will evaluate the health of your eyes and their internal structures while also evaluating their function. Consultation - Our optometrist will discuss your medical history, current medications and supplements, and work environment, looking for possible causes of eye strain. We will also want to discuss any symptoms you are currently experiencing. Visual Acuity Test - Our optometrist will also test your visual acuity every time you visit the office to determine whether or not your current corrective lens prescription requires adjustments to help you see clearly and avoid the symptoms of eye strain. Eye Function Test - We will perform various tests to examine the function of both of your eyes, their internal structures, and the state of your binocular vision (ability of the eyes to work together). Eye Disease Screening - During an annual eye exam, our optometrists will also be looking for any signs of eye disease. We look for possible signs of cataracts, macular degeneration, diabetic retinopathy, and glaucoma. The early detection of diseases like glaucoma is imperative, as vision loss due to glaucoma cannot be reversed. In addition to comprehensive vision exams and screening for adults, our optometrists at Family Vision Center also see infants and children for some of their first eye examinations. 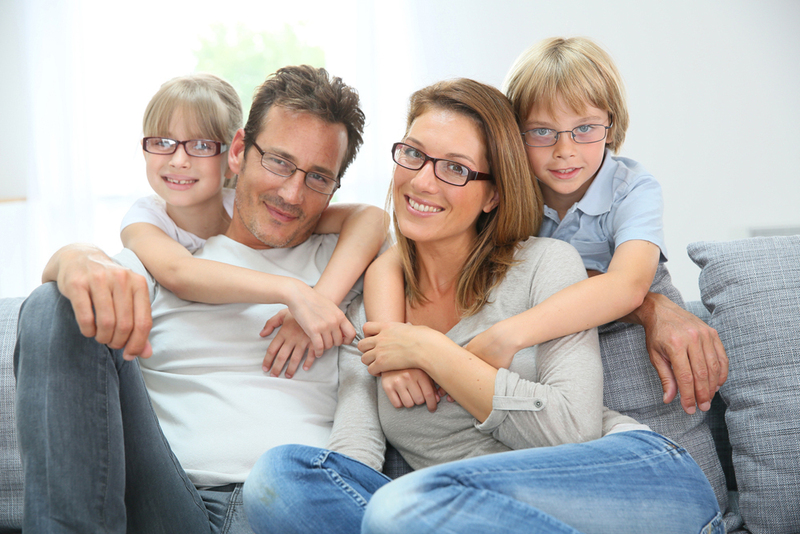 At Family Vision Center, we are a clinic who can treat your entire family. A pediatric vision exam is slightly different from an adult's eye exam, as they must be tailored to the age of the child. During infant and early childhood appointments, our optometrist will simply evaluate the development and function of your child's eyes. As your child grows older, we will test visual acuity and also screen for potential ocular problems which are common in children such as amblyopia (lazy eye), which is easily treated if vision therapy begins early on. If you have yet to visit an eye doctor this year, we encourage you to schedule an appointment with either our optometrist in Stratford at (203) 377-2020 or our optometrist in Bridgeport (203) 333-2020. We look forward to providing you with high quality care in the comfort of our friendly clinic.